Dear customers, pay attention to new Herm Sprenger Pinch Collar with swivel and small quick release snap hook (also named Prong Collar). It is usually made of metal and has prongs evenly arranged around the collar. It should be placed high on the dog's neck, right under dog's chin and behind his ears. 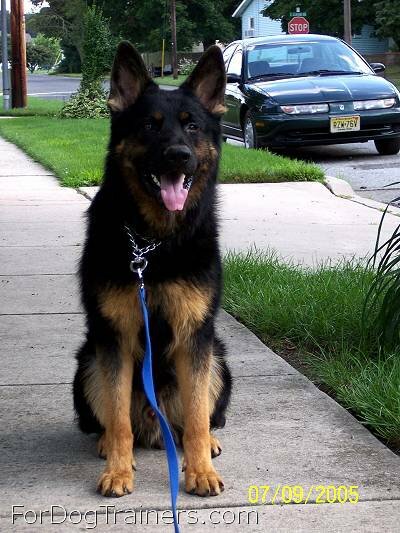 This collar will be necessary for those dogs who have problems with behavior, but you are to remember that it should be used only for training aims. This Pinch Dog Collar was made with the help of Herm Sprenger new method (which took huge amount of time to invent it), called Chrome Plating. It is a method of electroplating a thin layer of chromium onto a metal object. Collars that undergo this process, usually look more exquisite, than normal stainless steel. The chromed layer will provide corrosion resistance for the collar, as well as easy cleaning procedures. These collars will serve you and your dog for a long time. Whereas other manufacturers only dip the chains before halvanizing, Sprenger uses a different procedure of mirror-bright polishing. Dipping means to remove non-metallic unclean things like oil from the chains. The metal becomes clear but has no surface polishing. The advantage of Sprenger polishing is that the surface becomes much smoother and has this special bright shine. After tumbling, the chains are nickel or chrome plated. Nickel and chrome baths are monitored permanently by a laboratory. Sprenger examines the grip of the nickel layer through "bending" tests before the chains are chromium plated. 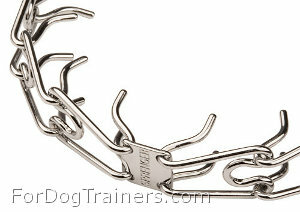 This collar consists only of welded parts, that will serve your dog for a long time. All parts are chromium plated, so it increases in its tensile strength. as other Herm Sprenger products has a stamp "HS-Germany" on the swivel, that one more time warrants the highest quality of this collar and spare you from worries to get fake collar. I recieved the new collar the other day and it looks great. Thank you to you and your company for standing behind your product. Look forward to dealing with your company in the future. Thanks! Jjust lettin you know that i recieved the 2 prong collars i ordered from you and am extremely happy with them. Also i was just enquiring to see if there was any kind of deal you could work out for me on the antique copper plated prong collars if i was to purchase about 20 of them at a time and probably a fair few extra links as well. I am in the works of setting up a website for breeding my pitbulls and have had a lot of interest from people who have seen me using them as they are not a commonly seen collar in australia you see. 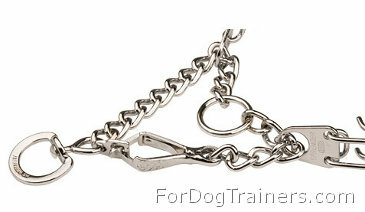 also as you know they are a lot more effective than a standard choker chain especially with the larger breeds. i appreciate you taking the time to read this e mail. Highly rated dog leash is Stainless steel snap hooks leather dog leash because it is multifunctional and very fashionable. See it for yourself. Are you having second thoughts? 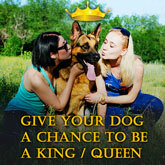 Check other HS quality product: Curogan Dog Pinch Collar.